Women in business inspire me, and moms who run businesses inspire me that much more! 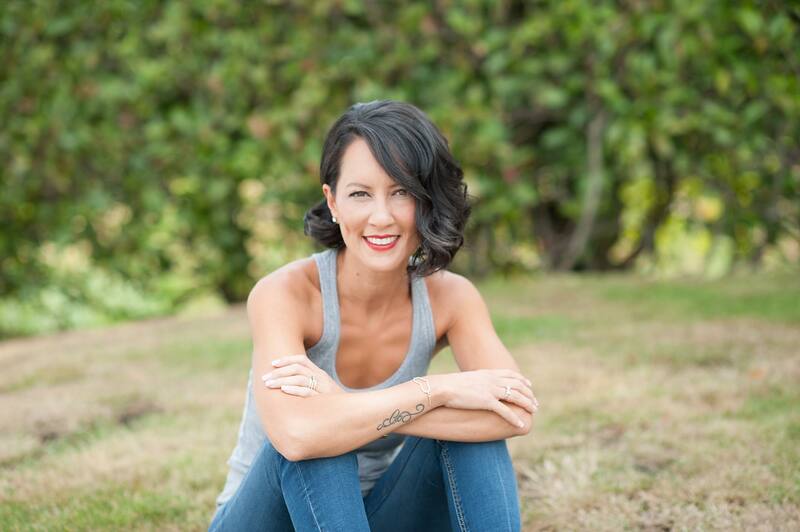 For this reason, I was extremely excited to have a phone chat with Traci Costa- mom of two and founder of local children’s fashion brand, Peekaboo Beans. Our conversation began with “nice to finally chat after following one another online” (I’m pretty sure this is typical in this day and age). I was curious to know what inspired Costa to start her business, the philosophy behind her brand, why she decided to go the direct sales route, how she handles work/life balance, and finally; what she’s most excited about now! In addition, Costa told me over the phone with such enthusiasm, “I loved to dress my daughter in super cute outfits, but I found there was a real lack of quality, and durability out there, and many of the clothes were hindering my daughters ability to play.” Costa noted that around this time Lululemon track suits were very popular in our city, but there wasn’t anything out there like these for children. With this in mind, Costa founded Peekaboo Beans– a playwear company that provides children with durable and versatile clothing that facilitates an active lifestyle. Peekaboo Beans eliminates loose ties, fussy buttons, and itchy zippers in favour of high-quality materials with functional features. Their design focuses on mix and match styles to make it easy for any busy parent to have a well-dressed child. Their clothing also features designs that are reversible in case of unavoidable spills as well as removable labels to eliminate the itch and discomfort many children experiences. As an added economical bonus most pieces are designed to grow with kids to add more longevity. Being on the receiving end, I could feel Costa’s passion and excitement through the phone. I lit up on the inside because when people are passionate about their work, you can feel it. I told her I couldn’t agree with her more, and that I’m so excited to try this online grocery thing every one keeps talking about!! Before we wrapped up our conversation, Costa told me she’s excited about Peekaboo Beans upcoming 10 year anniversary conference in July! Additionally, a week after our conversation Costa won two YWCA Women of Distinction Awards! One for ‘connecting the community’, and the other for ‘Outstanding Workplace’! I’m assuming she’s very excited about receiving these too! It was lovely chatting with Costa. I think I was most inspired by the fact that she doesn’t have any formal education in fashion, and I loved the brave, authentic way she opened up the conversation about her struggle with infertility. In addition, her brands philosophy to foster play is something that resonates with me immensely! As a former Early Childhood Educator, I know how important it is for our children to get out there and have some unstructured play! Heck, adults need play time too! I’m excited to see what’s next for Peekaboo Beans! 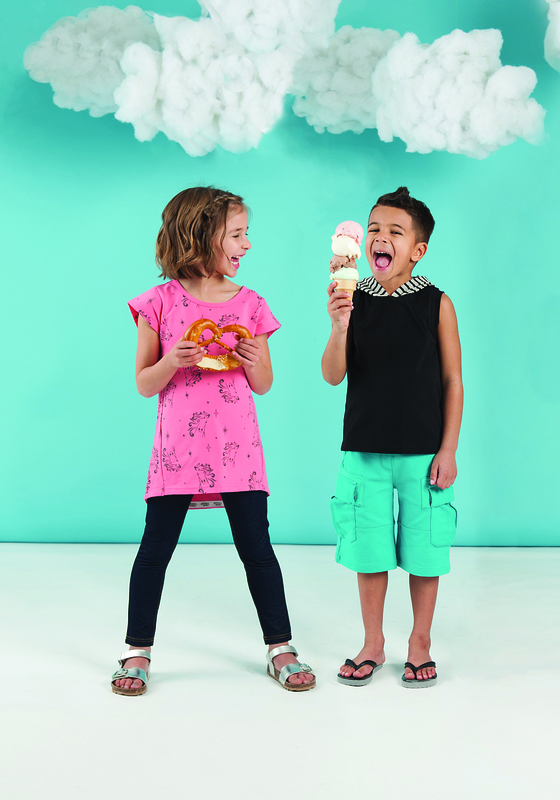 Peekaboo Beans has committed to a Play Revolution through more than their clothing line. They host workshops for parents to learn about free-play and the importance of positioning kids for an active healthy lifestyle full of adventure, excitement, and creativity. Peekaboo Beans summer line is the perfect uniform for exploration, investigation without worry of clothing interfering. All while kids stay comfortable and look great! Sounds like an awesome mompreneur! She really is! The Peekaboo line is amazing too!